There is typically no need for introductions when it comes to the Audi R8. 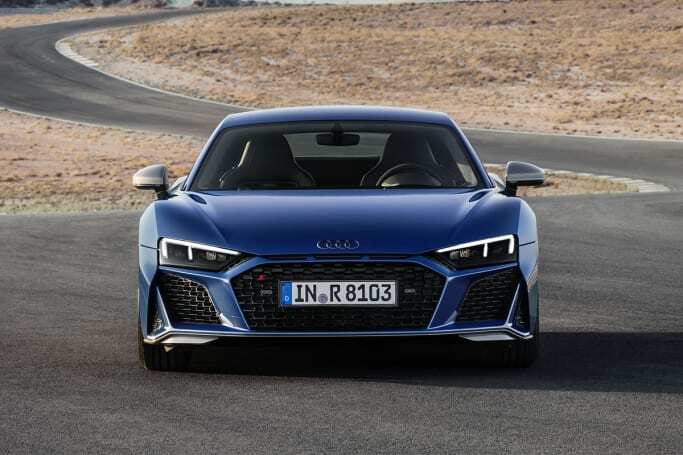 But the 2019 Audi R8 isn’t the one you’ve come to know - its been sharpened up in terms of both its appearance, and its performance. This heavily facelifted version of the second-generation Audi R8 keeps its high-revving V10 engine, and turbochargers have been kept at bay, too. It can’t hold off the march of progress for much longer, though - it’s almost certain this will be the last V10-engined R8… thankfully it has only just launched, so it should be on sale for a few years yet. 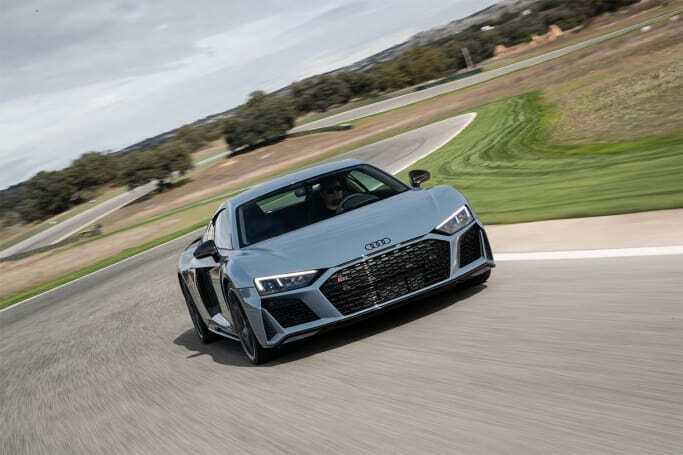 I got a chance to drive the new Audi R8 V10 Performance model in Spain at the model’s international launch drive this week - but only on Circuito Ascari race track. Wow, it was possible to make the Audi R8 even more attractive - the brand’s designers have gone and done it with this facelift, which sees a number of changes to the exterior styling that combine for a more aggressive, sharper look. The ‘Singleframe’ grille now looks even more menacing, having been widened and flattened, and any trace of chrome has been removed. As the chief designer told us, a supercar is no place from chrome. There are three small slats above the grille, which hark back to the iconic Audi Sport quattro model of the 1980s. The ‘Singleframe’ grille now looks even more menacing, having been widened and flattened. Further, the front splitter is wider, the rear diffuser has been made even more prominent, and there are new oval exhaust pipe outlets - previously reserved for Audi RS models only. 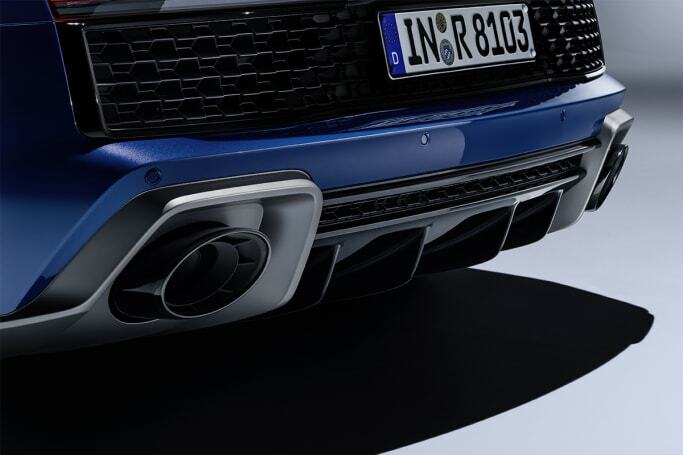 My only ‘errr’ moment with the design is the mesh cooling section at the rear bumper, which appears a touch unfinished in combination with some colours, and it’s also very rectangular, meaning the new exhaust tips are at odds with it. But it all has a purpose, and applies to the regular R8 and the LMS racer. The rear bumper is very rectangular, meaning the new exhaust tips are at odds with it. There are three new exterior packages available, which change elements such as the front splitter, door sill trims (side skirts) and diffuser. On the base car, there’s a high-gloss black look; on the V10 Performance there’s a matte titanium look to these bits. Optionally, there’s a high-gloss carbon package. Further, customers can get the badges and Audi rings painted in gloss black, while body paint colours now include 'Kemora grey' and 'Ascari blue'. There’ll be 19-inch and 20-inch wheels offered, depending on the model. Inside, there’s been a bit less of a noticeable change. Check out the interior photos to see for yourself. Compared to the outside, there’s been a bit less of a noticeable change inside. 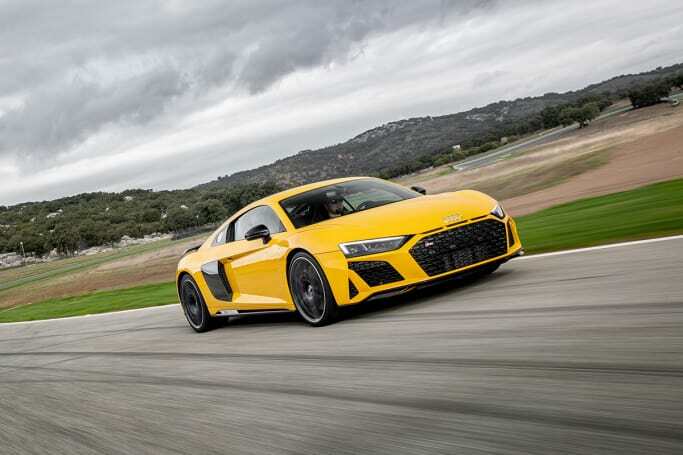 Okay, so Audi claims “the driver sits in the new R8 like in a race car”. 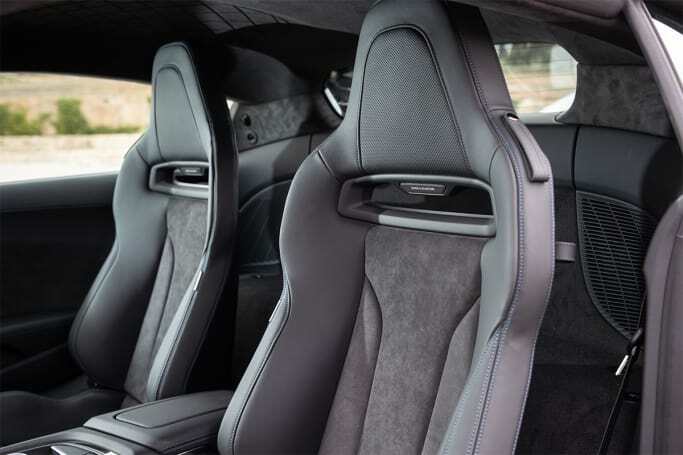 Having been a passenger in the Audi R8 GT3 car the brand had on show, I can tell you that’s not entirely true - because while you do sit about 12 centimetres higher than that ground-hugging beast, the regulation R8 model is superbly comfortable. What the brand is getting at, though, is that the focus of all the interior design is to serve the driver. 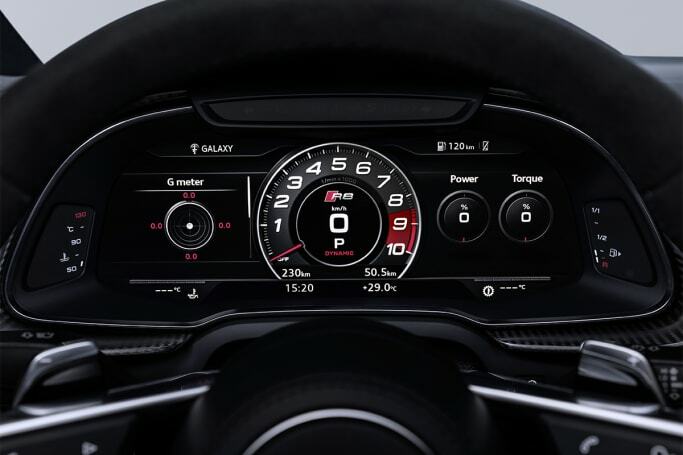 As such, there’s no central media screen - instead, there’s a 12.3-inch digital instrument cluster (Audi ‘virtual cockpit’) which is where the driver takes charge using steering wheel controls. There’s no central media screen - instead, there’s a 12.3-inch digital instrument cluster (Audi ‘virtual cockpit’). The system is crisp to look at, but it can be a little hard to get used to the controls, especially for sat nav inputs and so on. And that’s even with the central MMI rotary dial with touch pad. But the other controls are great - I love the air-conditioning knobs, the gear selector and the switchgear, which all has a technical and beautiful finish to it. The steering wheel is a delight to hold, and the push-button starter is a real eye-catcher in red. The seats in the cars we tested were superbly supportive and very comfortable, but the lack of adjustment of the fixed buckets means you might find yourself a bit too upright (if you get to spend more time in the car than we did). The seats in the cars we tested were superbly supportive and very comfortable. And even though it’s a supercar, the R8 offers a level of practicality. Sure, the door pockets are virtually useless and there are no properly usable cupholders, but that gives you an idea to the intent of the car. There are, however, storage spots behind both of the seats, and there’s a centre storage area in front of the shifter and in the armrest. And while the R8 has a mid-mounted engine, there’s still a boot: the R8 coupe’s rear cargo bay offers enough room for a suitcase or two soft smaller bags for a weekend away, with 226 litres of cargo capacity - according to Audi, that’s enough for a golf bag. There’s a secondary storage area under the bonnet, which adds an extra 112L of space. Don’t buy the Spyder if practicality is important to you, as it has even less storage space. It’s expected Audi Australia will again offer the R8 in two different specs when it launches in Australia around the fourth quarter of 2019. That means a base model (if you can call it that) V10 variant, and a higher-grade V10 Performance grade with more power and torque. The latter is expected to be the bulk seller - the current V10 Plus model accounts for some 90 per cent of R8 sales. Maybe they’ll drop the base car - time will tell. It’s too early to have a stab at pricing and specifications, because nothing has been confirmed as yet and we’d be on Audi keeping prices relatively stable or maybe bumping them up - hey, you’re getting more power for your money, after all! But you can bank on goodies like LED headlights, auto high-beam lights, leather seat trim, DAB+ digital radio, sat nav, Apple CarPlay and Android Auto, a 13-speaker sound system, auto headlights and wipers, push-button start and keyless entry and a fair bit more. The interior design is to serve the driver. The V10 Performance model we drove had 20x8.5-inch front wheels and 20x11-inch rear wheels, with super grippy Michelin Pilot Sport Cup 2 tyres. For a guide, the current start price for the V10 is $366,340 plus on-road costs, while the V10 Plus (which will be renamed V10 Performance) currently lists at $402,430 before on-roads. Those prices are for the coupe - the Spyder convertible adds roughly $20,000 on both grades. Considering some of the competitors, it is a little pricey - although it’s the cheapest way into V10 supercar ownership. So, what are its rivals? 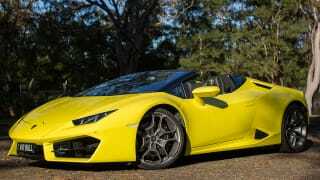 Lamborghini has the Huracan (essentially an R8 twin - priced from $378,900 in RWD, or $428,000 for the AWD model), or you could take a look at a McLaren 570S ($395,000), Mercedes-AMG has the GT (from $261,130) and there are about 20 versions of the Porsche 911 you might consider (from $220,500). 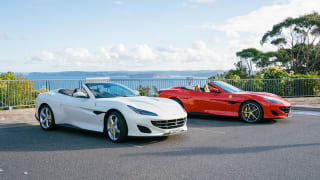 If the Spyder is more your go, I’d take a look at the Ferrari Portofino ($398,888), too. The new R8 retains the same 5.2-litre V10 (FSI) naturally-aspirated engine, but Audi’s engineers have wrung its neck to squeeze more power and torque out of it. There are two tunes available - the regular version, which has 419kW of power (up from 397kW), and 560Nm of torque (up from 540Nm). It only comes with a seven-speed 'S tronic' dual-clutch automatic transmission, and comes with quattro all-wheel drive. The claimed 0-100km/h time is just 3.4 seconds for the coupe and 3.5sec for the Spyder convertible. It tops out at 324km/h, or 322/km/h in the convertible. The higher-grade version is by far the most potent R8 yet, with 456kW of power (up from 449kW) and 580Nm of torque (was 560Nm). Again, S tronic and quattro, and this time around with a 0-100km/h acceleration claim of 3.1sec for the coupe (3.2sec convertible). Top speed is 331km/h or 329km/h, depending on body type. Don’t expect to see the official claimed fuel consumption figure on a regular basis. The number is 12.3 litres per 100 kilometres for the most potent coupe version, while the lower-power version uses a claimed 11.4L/100km. The engine has cylinder deactivation for less intense situations, and there’s engine stop-start, too. It uses 98RON premium unleaded fuel, and has an 83 litre fuel tank capacity. I can’t say what it’s like on public roads, but my stint on a shortened track at Circuito Ascari near Ronda in Spain left me grinning ear to ear. 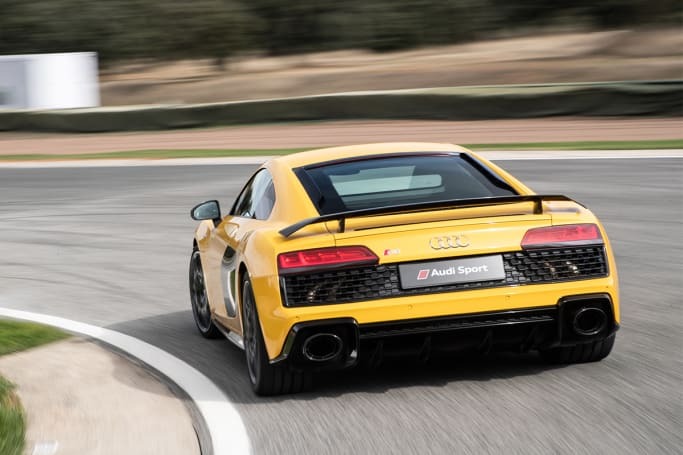 And so it should, with the immense performance of the V10 engine - tested on track in the higher output R8 Performance spec with the full 456kW and 580Nm complement of grunt numbers. Driving the R8 reminded me of that one time in under 11s rugby league when a much smaller defender managed to lift me up and dump be on the ground - an impressive effort, because I was heavy enough to be running around in under 15s. At that time, it took a second for me to realise what had happened, and was enough to leave me a bit short of breath. I found it to be super predictable at lower cornering speeds, and therefore more manageable to an amateur like me. The same sensation came to mind as I loaded up the throttle and threw myself at the horizon from the pit exit. Under a heavy right foot, the world around me started to blur and the first corner of the track suddenly approached after the crest. I had to try and remember what the lead car had shown me in the sighting laps prior, where to turn, how hard to get on the gas. But I was distracted by the mind-bending physics I was experiencing, not to mention the theatre of the R8. The sound really is hard to beat - the howl of a high-revving V10, unmuffled by turbochargers, is something to behold when it’s enveloping you, and the fact the noise emanates from behind your ears almost makes you want to push it even harder. The howl of a high-revving V10, unmuffled by turbochargers, is something to behold when it’s enveloping you. 1 – 6 – 5 – 10 – 2 – 7 – 3 – 8 – 4 – 9. That’s the firing sequence of the V10. Just thought you might like to know. There was tremendous traction from the quattro all-wheel drive system from a standstill, and across a long, banked corner on the track I felt super confident, pushing harder than I know I would have dared in a rear-drive car. I managed to get a steer in both an R8 with the regular steering system and a model with the brand’s ‘dynamic’ steering set-up. Both have been retuned to be “more direct and precise throughout the entire speed range”. The models we drove were all fitted with the optional carbon ceramic braking package, which allowed the stoppers to resist fade for a lot longer. I preferred the dynamic steering set-up which can vary the steering ratio based on the speed, and is “very direct” according to Audi - and even more so when Performance mode is engaged. I found it to be super predictable at lower cornering speeds, and therefore more manageable to an amateur like me. One of Audi’s test drivers told me that he prefers the normal steering set-up, because at ‘really big speed’ it’s easier to predict. The highest speed I saw was just a tickle over 200km/h, and I understood his take on it. Maybe normal steering for high-speed tracks, then? Or I just need to learn to drive faster…? 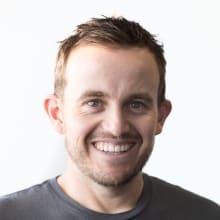 Hey, no-one wants to be the guy who bins the $400k supercar on the very first rotation of about thirty over a two-week run of international journalists visiting to sample the newest, bestest and most expensivest Audi has to offer. The models we drove were all fitted with the optional carbon ceramic braking package, which allowed the stoppers to resist fade for a lot longer - ideal for extended track time sessions, and they certainly stood up to my reliance on them on my few short stints on the track. They came in especially handy during a (very cool) night session where we were expected to remember the track layout about seven hours after our first outing. It would have been great to drive it on real roads, because apparently that’s where the dynamic steering is most impressive. The Audi R8 hasn’t been crash-tested by ANCAP or Euro NCAP, but Audi claims the car’s spaceframe chassis offers “high crash safety”. You get a reversing camera and parking sensors (optional in Europe, expected to be standard in Australia) plus the R8 comes with six airbags, including dual front, front side and curtain coverage. Spyder models miss out on curtain airbags. But there is no advanced safety equipment - no auto emergency braking (AEB), no lane-keeping assist, no blind-spot monitoring, rear cross-traffic alert or adaptive cruise control. Top spec models are expected to get the excellent laser headlights (auto high-beam light up to 600 metres throw distance), and all models come with LED headlights. The warranty plan for the Audi R8 is the same as all other Audi models - three years/unlimited kilometres. Not as good as you’ll get from Ferrari, which can be optioned with up to 15 years’ warranty. There is no capped price service plan for the R8, and no pre-purchase plan like you can get on the rest of the ‘regular’ Audi range. This iteration could well be the final Audi R8 with a V10 engine, and what a note to go out on. Emissions laws and the ever-present push towards electrification are almost certain to see the next-generation R8 take a very different tack to this model. Lucky, then, that this is the best R8 yet. I know the final score doesn’t necessarily reflect that - but that’s because it falls short on ‘regular’ car things. Even so, it’s an epic machine. Would you have an Audi R8 over one of its rivals? Tell us what you think in the comments section below. California is a nice place, sure. But the Italian Riviera is stunning. So it's no surprise Ferrari decided to rename its entry-level model, ditching the American moniker. 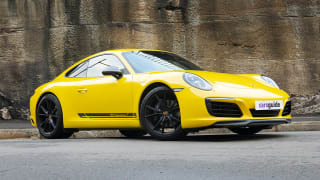 The 911 Carrera T sheds weight and sharpens its focus, but keeps the entry Carrera's drivetrain. Is it worth the extra $17,500? Lamborghini's Huracan is the howling and fiery follow-up to Sant' Agata's best-selling model ever, the vicious, V10-powered Gallardo.